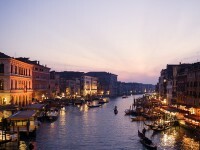 The usual rate of a flight from Chicago to Venice is $1,802. 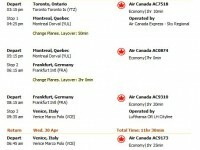 Also you can get around 11 thousand award miles for a flight like this. A flight from Chicago to Venice is some $1,707 during off season while it goes up to $1,860 at the time of high travel season. You might want to know that the cheapest airfare discovered in the last twelve months is just $819 round-trip for a Scandinavian Airlines flight found for March 2013 on SmartFares. Popular travel season is June to September in Venice consequently airfares might become truly pricey in that period with tickets reaching up to $1,860. Provided that you would ever be hunting for better fares, it is smart if you travel during April, May and October, through low season, as than rates are usually more affordable. We consider that in general the best period to fly to the city from Chicago is between the two, during November to March. Note that Venice is situated within the Europe/Rome time zone. The biggest airport in the city, Venice Marco Polo Intl Airport, is located some 5 miles away from the center of the city. The minimum distance between the two cities is 4,635 miles long, it is an only 1 hour trip. The shortest flight taking off in Venice is 187 miles long and goes to Munich.